While uploading photos from last nights wedding (the third wedding I've attended within 2 weeks), and found a forgotten Addiction polish post taken a few weeks ago. 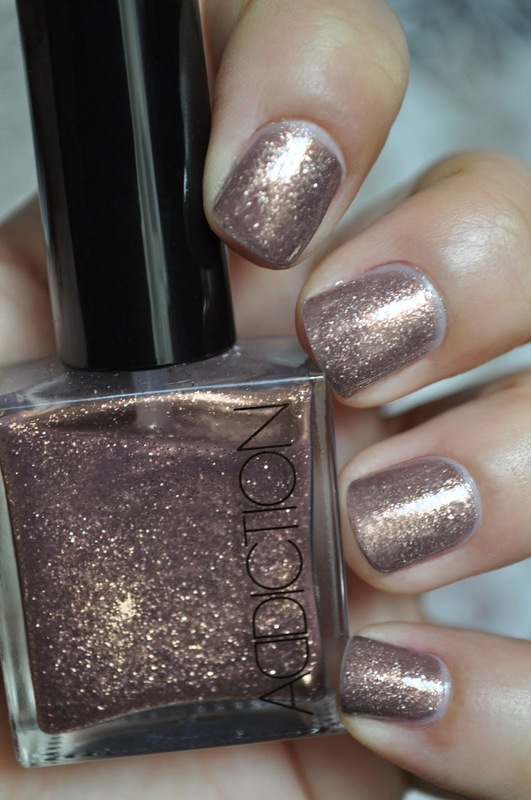 Addiction's Moon Illusion over a thin coat of Mac's Festive Finery Nail Lacquer. I don't mean to change the subject, but can some recommend a good nail hardener, the nail on my ring finger keeps breaking. 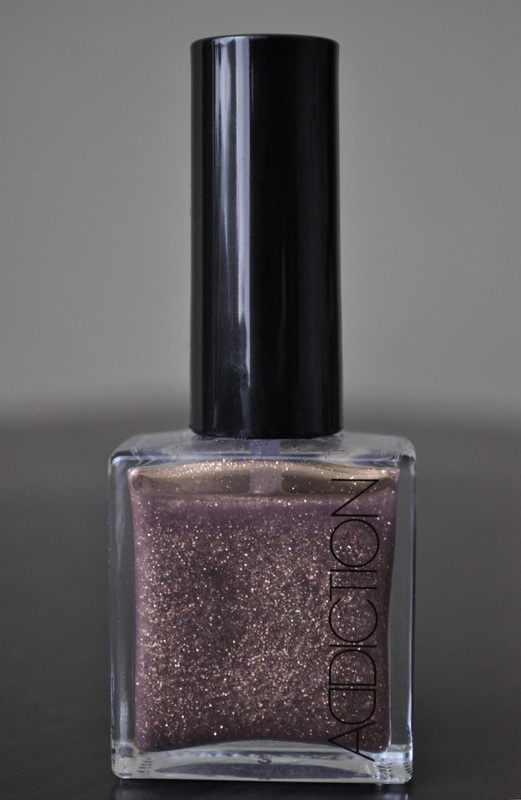 Addiction's Top Coat in Moon Illusion 002 is a sheer lilac-dusty mauve base-coat loaded with silver, violet and champagne glitter. I'm happy to report that Moon Illusion doesn't have that loathsome gritty texture plagued by some glitter polishes. Although the top coat is very sheer, requiring several layers to achieve minimal opacity, it can be worn alone. Personally, I feel Moon Illusion (along with the other top coats from the brand) works best when layered over other polishes. Addiction's top coats enhance, alter and give a gorgeous dimension to any polish. Deborah Lippmann's Bring On The Bling and Diamonds and Pearls, and Jin Soon's Gossamer. I wish I could find a gold shimmer top coat though. There seem to be plenty in silver, pink, blue, green, etc. OPI Nail Envy has saved my nails and I won't/can't be without it. My nails peel terribly and this has been the only nail hardener that has worked.